POLKA DOT JUMPSUIT ! 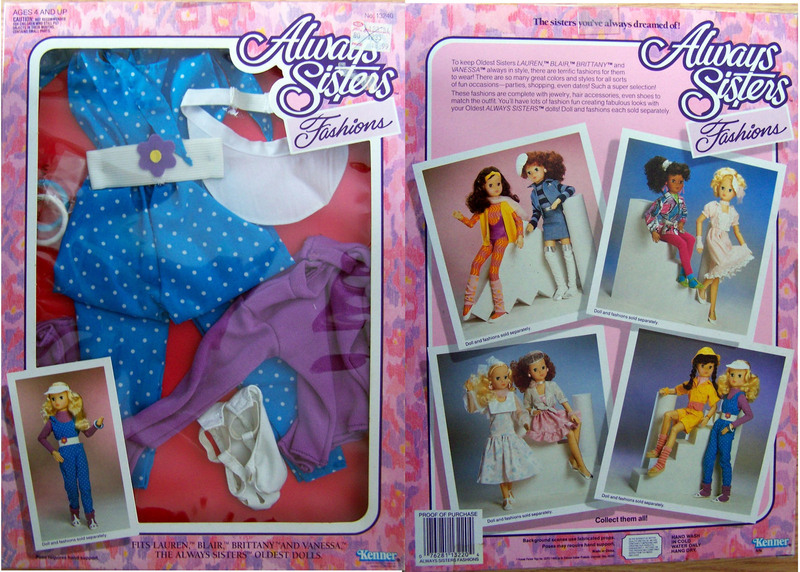 Always Sisters are 22" dolls made by Kenner in 1988. 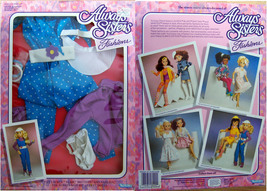 I do believe this outfit would fit most 20-22" dolls, such as Hot Looks, Ideal Crissy family etc. Blue polka dot jumpsuit with white wide belt with purple flower, Purple knit pullover top socks. White t-strap patent look shoes and white and blue bangle bracelets with white visor. Styled with the 80's look. See my other listings for yellow jumpsuit accessories. . Check it out!Check back often as I am always adding new items.... Smokefree home. ... THANKS! for BIDDING! MARCIAS FANTASY tofantas@bektel.com Combine Orders SAVE ON SHIPPING WELCOME to my store.....Be sure to check out my Bargain Boutique: New one of a kind bargains added every day. Get a Bargain! International buyers please email for shipping info....All international buyers welcome.